Celebrate Your Seasonal Event in Our Party Buses! Seasonal events only come once a year, and your enjoyment starts with Party Bus Toronto VIP exceptional Party Bus rides. No matter the occasion, we are here to make sure that all of your transportation needs are met and exceeded during these seasonal occasions. We take pride in providing you with exceptional service and a whole fleet of limos that provide an experience of joy and fun. With this great service, we take pride in creating memories and smiles that will last forever. With the seasonal events at hand, we cater to all your special events and occasions. All of this is done with renowned customer service and professional drivers. With the talked about seasonal events, you can see how a luxury limo ride can bring out the fun and smiles for you and your friends. We cater to many more seasonal events, which allows for you to fully enjoy all of the festivals and fun at hand. 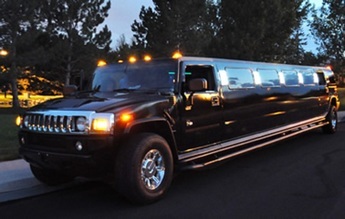 Party Bus Toronto VIP is here to give you a limo experience that you will never forget. Call or click today and see how your next seasonal event can be transformed into a fun filled occasion. This great seasonal event is the season of love. Our limo packages give you the opportunity to take that special someone on an exceptional limo ride that they will never forget. You can have the driver take you around the city, while enjoying the limo itself. Not only can you live in the lap of luxury, but you can use this opportunity to pop the magical question to your mate and ask for marriage. Our limos are equipped with low dimming lights that can set the mood, and a full bar for you to celebrate the answer with a nice glass of wine afterward. This will leave a lasting impression for you and your significant other for a life time. This special seasonal event is the time for family, love and fun. Our services allows for you to arrive at the New Year’s party or Christmas party in style. Not only do we offer you a fabulous limo ride, but we dress for the season as well. You can choose to decorate the limo to go with the season. This includes red bows and even some lights to make you and your party feel more festive fir the season at hand. 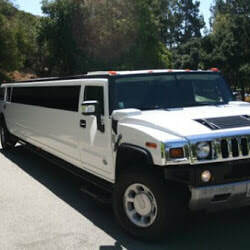 Enjoy the elegant limo and have fun in the Christmas season in style and flare. This big event is opened up with all types of parties, concerts, and even fireworks. Jump into the fun of this seasonal event with a luxury limo ride to get you and your party to all the fun. Our drivers will do all the driving while you go to all the events, while you and your party have all the fun in the back. You do not have to worry about driving, which allows you to enjoy a drink and not have to fight traffic. This seasonal event allows for you to maximize your fun while sitting in the lap of luxury.